It’s interesting the associations we all seem to have. The winter with Coughs and Colds (! ), Vitamin C and a glass of orange juice. But would you associate Vitamin C with a reduced risk of heart disease, ageing or cancer? Probably not. Of all the vitamins, Vitamin C is the one most people have heard of. And yet seem to know so little about. So, this week, let’s dig a little deeper and find out why it’s important for good health. Not just Coughs and Colds. No story about Vitamin C would be complete without mention of Christopher Columbus and Scurvy. With only basic methods of preserving food – drying and salting – at that time, it’s not surprising that the food on ships was basic at best. Dry biscuits / bread, butter and a little meat. Fruit and vegetables were a rare treat, only available for a short time after leaving port. This led to sailors quickly becoming deficient in Vitamin C with its telltale bleeding gums, easy bruising, joint pain, fatigue, fever and rotten teeth. All too often death was the inevitable end result, with reports of ships losing up to 60% of their crew to Scurvy. 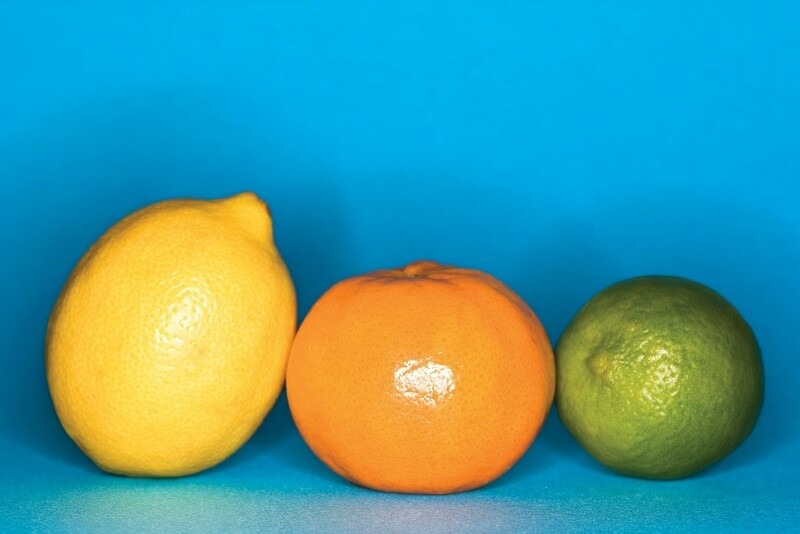 The use of oranges, lemons and limes to remedy the problem can be traced back to the 1600’s. However it wasn’t until 1747 that they were shown to be an effective treatment – and preventative – for Scurvy; becoming part of the standard fare on all english ships. And, if you’d like a piece of trivia, is the reason Americans refer to the English as “Limeys”. Vitamin C is absorbed into the bloodstream from the Small Intestine and then travels around the body to the cells to be used. Now here are two very important – but little known – facts about Vitamin C.
The first is that humans, unlike most other animals, can’t manufacture Vitamin C. Scientists believe this is due to a genetic mutation around 4,000 years ago and have suggested that this allowed energy to be conserved by not producing something that was easily available from the diet. This means that we can ONLY obtain Vitamin C from what we eat. The second is that, being water soluble, Vitamin C flushes out of the body very quickly; in only a few hours. This means that fresh fruit and vegetables need to be eaten throughout the day to maintain good levels of Vitamin C. With many people tending to eat high level Vitamin C foods only with their main meal; it’s easy to become deficient in this vitamin for long periods of time during the day. And this is even if you take a good quality Vitamin C supplement every morning. The easy solution to this potential problem is to take Vitamin C at either end of the day while making sure that you eat plenty of fresh fruit and vegetables throughout the day. This is how food based nutrition and supplement based nutrition can work together to ensure optimum nutrition throughout the day. Iron metabolism, by making iron more available to the body and helping to convert it into a form that the body can use. Energy Production, assisting in the conversion of amino acids needed by mitochondria in the cells to produce energy. Collagen production, which literally provides the scaffold that holds the body together. It’s the most common protein in the body and found in the skin, muscles, tendons and bones. (And also explains many of the symptoms of Scurvy). Efficient Immune System function, helping to protect and support the proteins and enzymes needed to fight pathogens. Synthesis of hormones, neurotransmitters and many other enzymes. All fresh fruit and vegetables contain Vitamin C with good sources including pineapple, kiwi, blackcurrants, peaches, papaya, guava, rose hips, brussel sprouts, peppers, mangoes, strawberries, kale, spinach, oranges, lemons, limes, raspberries, blue berries, parley and broccoli. However, we must stress the word “fresh” as once harvested fruit and vegetables quickly start to lose their nutritional value; not just Vitamin C. So while they may look fresh, the amount of Vitamin C they contain has greatly reduced. Just to make matters worse, as soon as fruit and vegetables are prepared – in other words cut – this loss increases; making prepared products much lower in Vitamin C than in their unprepared form. While prepared and ready to eat salads, fruit and vegetables may seem more convenient, a significant amount of nutrition is being lost in the process. Finally with modern methods of agriculture being linked to falling nutritional values generally, it’s important not to unintentionally make matters worse by choosing pre prepared products. The current recommended daily allowance (RDA) of Vitamin C in the UK is just 40mg a day. By contrast, a 150 pound healthy mammal producing their own Vitamin C, would make up to 14,000 mg per day (!). This is the reason that many practitioners recommend 1,000mg of Vitamin C a day as a minimum dose all year round. If you want to find out how much Vitamin C you need, the easy way to do this is to use the “bowel tolerance” test. Just gradually increase the amount of Vitamin C taken every few days until you get wind, bloating or diarrhoea. This shows that you’ve reached your upper limit and all you then do is drop down to a level a little below this. If you’re in any doubt, remember what happens when you eat too much seasonal fruit – strawberries or raspberries – and you’ll get the idea! The interesting thing is that research has repeatedly found that those with chronic ongoing or degenerative diseases can tolerate extremely high doses of Vitamin C before experiencing any of the problems mentioned above. And, often, this alone can lead to significant improvement in their condition without any other interventions being needed. Finally don’t forget that, like all other supplements, it’s important to buy a good quality Vitamin C. Ideally this should come from plant based sources, rather than from a chemical artificially synthesised in the lab.